We are an independent website/blog/magazine or whatever you want to label us. We are a community of music lovers who appreciate pure music, not the commercial success of it. Our working team is in fact an open group, so a lot of members join and leave as they please. No strings attached and no fees paid. You can call us a non-profit organization, although we are not that organized. We encourage and support independent artists, talented rock and electronic bands, good-hearted gothic people and more. We don't care about commercial benefits and we are an ad-free website. Genuine music lovers asked for a source that combines new releases and compiles them into a monthly chart. So we created our Top 20 Global Gothic Chart. Some people do not fully understand the word Gothic and they might think that it is related to evil stuff. This is completely wrong. First, let us talk history: The Goths were an East Germanic people who played an important role in the fall of the Western Roman Empire and the emergence of Medieval Europe. The Goths dominated a vast area of Europe and they had their own language. In the 4th century, the Goths were gradually converted to Christianity by Gothic bishop Wulfila. Today, a goth is someone who sees beauty in darkness, serenity, and emotion. It is about fashion, architecture, music, and of course lyrics. But it is also about kindness and passion. In music, the term "goth" is inseparably connected to gothic rock and dark wave. 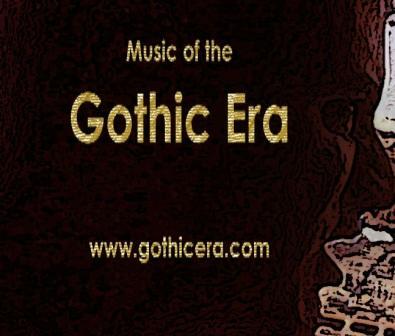 Gothic Era's mission is to promote those wonderful feelings produced by talented music artists from all over the globe. If you have any inquiry that we did not answer yet, please feel free to contact us through our Facebook or Twitter.